Open your contact list by clicking 'Contacts' from the Left Tabbed Menu. 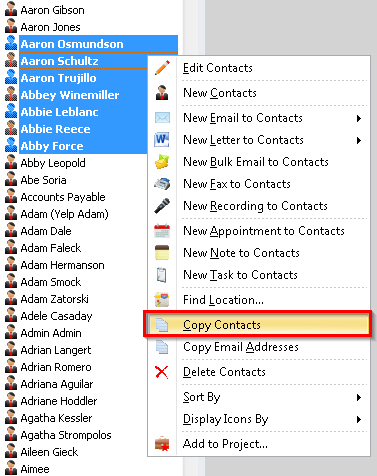 Select multiple contacts by clicking the first contact, holding SHIFT and clicking the last contact (or holding CTRL and selecting them individually). 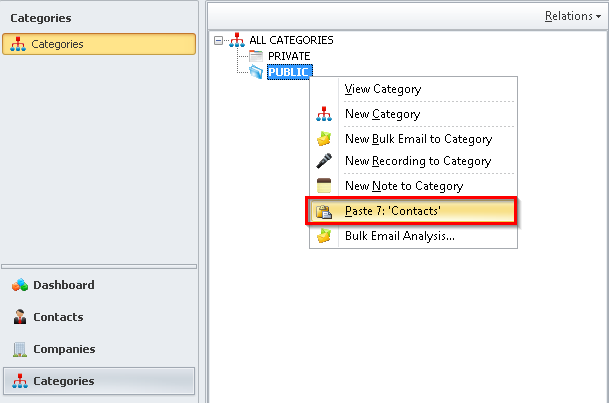 Open the list of categories by clicking Categories in the left tabbed menu. Confirm the links by clicking 'Yes' to each or check off 'Do this for the next x items' to confirm all.